The Steering Committee has decided to distribute one newsletter by mail each year, in addition to publishing online newsletters every 2 months. This will be the print issue for this year, so look for it in your mailbox in the next 1-2 weeks. Extra copies will also be available at OWA+DP events. I am a Californian who had every intention to become a filmmaker when leaving high school, but somehow in college got turned on to structural engineering. These days I teach integrated structural materials, structural design and architecture courses as Assistant Professor at University of San Francisco. I'm the director of the Architecture & Community Design (ARCD), Architectural Engineering and ARCD Honors programs. I love hanging out with students every day, using hands-on experimental techniques and community engagement to provide them as rich an education as possible. Teaching is Believing! 1. What book has changed how you look at the world? The single most influential book in my life so far has been The Catcher in the Rye, in particular the concept of a person becoming a tiny bit different with every observation, every experience, no matter how small. When I was in engineering school I became very interested in earthen structural materials, especially adobe. By some miracle the most prominent adobe structural researcher, Dr. Marcial Blondet, happened to be Principal Development Engineer at the very same institution and absolutely took me under his wing. He has continued to mentor and advise me to this day. I also needed to find a bit of funding for my thesis project, and not exactly finding much support for earthen material research, decided to apply to the American Concrete Institute for funds. It so happened that Dr. Fred Webster, California's "go to" structural engineer for seismic retrofits to historic adobe structures, was on the committee reviewing these applications. As he later told me, "every application looked the same - and then there was yours!" I did not get the funding, but Fred was amused enough by my nerve at applying to the ACI for this funding that he contacted me himself and promptly hired me to be his research assistant. His tireless mentorship of me continued until his passing late last year. Without him, and Marcial, I am quite sure my life would have turned out quite differently, possibly with less joy and less "playing with mud". I try every day to give back their mentorship to my students. 3. If civilization were to collapse tomorrow, what one object would you most want to have? My violin, and I would hope to sneak in a bow as well! I have played violin for long enough that it is connected to my breathing and heartbeat. Also, if the collapse of civilization implies no people to talk to, the violin would be another voice I could listen to. 4. In a parallel life, what would be your line of work? I wouldn't mind being an astronaut! But there are days when my current life is pretty far out! One great way to do this is through the International Archive of Women in Architecture at Virginia Tech. According to their website: “The purpose of the Archive is to document the history of women’s contributions to the built environment by collecting, preserving, and providing access to the records of women’s architectural organizations and the professional papers of women architects, landscape architects, designers, architectural historians and critics, and urban planners.” The IAWA “welcomes materials documenting all generations of women in architecture in order to fill serious gaps in the availability of primary source materials for architectural, women’s, and social history research.” This is especially relevant to our members who are retiring. Give posterity a chance to learn from your work. See https://spec.lib.vt.edu/IAWA/ for more information. If you can, join a mentoring program such as the one the OWA co-sponsors with the San Francisco chapter of the AIA. But don’t wait for a formal venue. Mentor young women, or women returning to the workforce, whenever you see an opportunity. Encourage women early in their careers to think strategically about their careers, to actively seek opportunities and advocate for themselves. Help them to recognize their strengths, so they don’t get discouraged. Help them to understand their weaknesses constructively, and find ways to build their skillset. It is well known that women’s pay is still not equal to men’s for the same work and same qualifications. It doesn’t help that there is a taboo in our culture against discussing pay. Women also tend to be more reluctant to negotiate our salary. You are in a much better position to be fairly compensated if you know the market rate for your labor. The OWA+DP has ordered a copy of the latest AIA compensation survey, and will be making it available to members at our events. You never know when you will have a bit of wisdom that will help someone else, or when someone else will offer you a key insight. Be active in the OWA+DP. In this connected world, there are also many organizations near and far that you can connect to digitally. A prime example is Parlour, at archiparlour.org. This serves two purposes. First of all, we all need role models. The more opportunity we have to see people we can relate to leading and doing important work, the better we can imagine pursuing a similar path and achieving similar things. Secondly, being a leader puts you in a position to make decisions, to set an example of recognizing quality work equally, regardless of the gender of the worker. So if you have any inclination, seek out opportunities to teach, lead a firm, serve on awards juries, write about contemporary architecture, or do anything else that shapes the conversation about design. Did we leave anything out? What else can we do to strengthen ourselves individually and collectively as women in architecture and design? Send your comments and ideas for inclusion in future issues of the newsletter. We thank everyone who took the time to come to the business meeting and help make some big decisions. As usual, the two main items of business were election of Steering Committee members and approval of the budget. The steering committee presented to the membership an ambitious budget, with funds allocated for a number of new initiatives. In response to debate at the meeting, the budget was revised to be more conservative in a number of categories until priorities have been more clearly set. The visioning retreat, described below, will be a critical opportunity to attain this focus. The Steering Committee is currently organizing a retreat titled "Realizing Our Potential" in early March for current and past leadership of the group. We aim to set up specific action items for current and future leaders so we can strengthen our organization and ultimately provide the best possible benefits to our members. The idea of a visioning retreat emerged last year through discussions from the logo pod, steering committee, annual retreat, and recent business meeting. The general membership agreed that an event dedicated to setting long and short term goals to guide leadership would be useful. We are pleased to have Loren Sherman as a special guest who will help lead and facilitate the event. She is organizing a short survey in preparation for this event that you may have seen in your email inbox (If not, look out for it soon!). We highly value all opinions of our membership and hope you will take the time to participate. We anticipate a productive retreat and look forward to sharing our findings with the group. Galen Cranz will talk about her new book Ethnography for Designers (Routledge, London, 2016) in the evening on May 9th. The venue is still to be confirmed, but is likely to be in UC Berkeley’s Wurster Hall. On July 12, we will be hosted by the San Francisco International Airport in-house design and project management women’s group for a talk about the airport's approach to design, an introduction to some of their current projects and possibly a tour of a newly completed area in the terminal. For August, are working on offering a hands-on making workshop at the Crucible in Oakland, hopefully in conjunction with a girls youth group. We also have a number of other programs in the works, so keep an eye on the calendar on our website and expect email updates from the Program Coordinators. 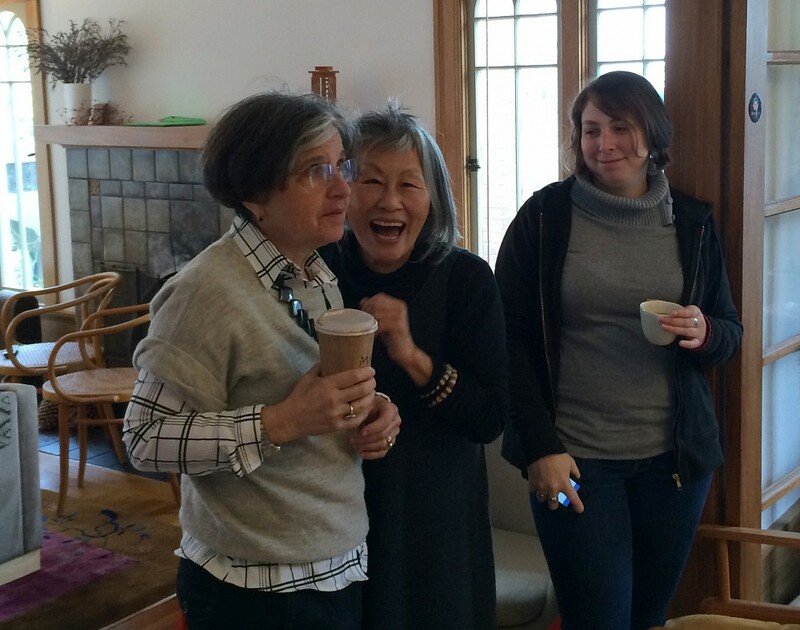 Thank you to Mui Ho for hosting our first event of 2016, a screening of the film Lutah,. See more about the film and our gathering in the Film Review. Have you heard of Lutah Maria Riggs? I had not until Wendy Bertrand offered to share a documentary about her with the OWA+DP. How did an architect whose work had such range and sensitivity, who pushed forward the evolution of the Mission Revival style and then the emergence of a distinctively Californian modernism, not become a household name, when we have all heard of Maybeck and Eichler? Wendy cannily began our gathering on Saturday by asking us to think about how and when we became aware of the existence of women architects. The answer seemed to vary by generation, but also based on individual circumstances. 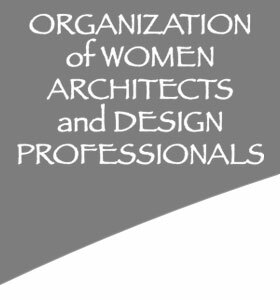 There were members who became aware of women architects through female professors, through practicing architects that provided them with a role model, and through activism in founding organizations such as the OWA+DP, as well as one who learned of women architects through a book: From Tipi to Skyscraper (Doris Cole, I press incorporated, Boston, MA, 1973). Many founding and long-time members were present, including two who had met Riggs themselves. Anne Sullivan remembered her as an older woman wearing a red wool winter coat on a hot summer day. Mui Ho sought Riggs out because she was interested in her live-work spaces, which were a novel unit type at the time. The film itself gave an overview of Lutah Maria Riggs’ life, career and body of work. Santa Barbara, California, would not be the place it is today without the work she did during her lifetime (1896-1984). The beauty of her drawings and the resulting buildings both testify to her great talent, and she was well-known locally. 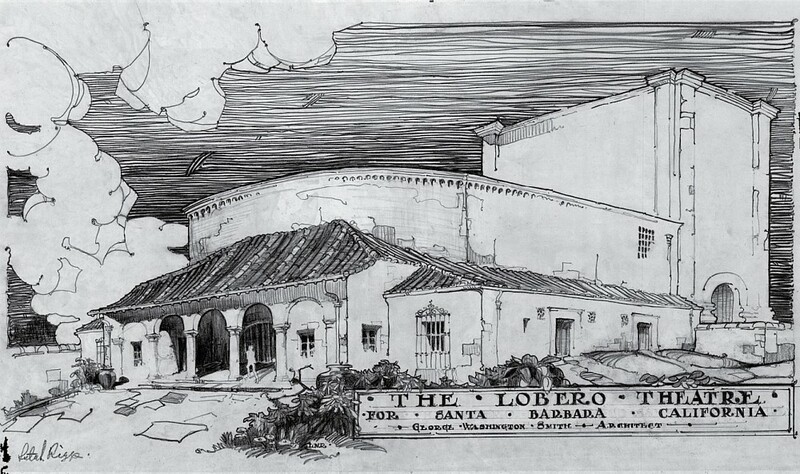 The Lobero Theater, her best-known building, is a landmark and active theater today. Various members in attendance expressed wishes for more consideration of certain aspects of Riggs’ work. Of course, a one-hour documentary cannot be exhaustive. However, I noticed that some description was given of the firm of George Washington Smith, where Riggs worked for many years, while none was given for Riggs’ own practice, once she branched out on her own. Did she have employees, or was she a one-woman shop? Similarly, other members would have like to see more context for Riggs’ career. Did she have any contact with Julia Morgan, for example? I appreciated the variety of people interviewed, including historians and clients, who gave a range of perspectives both on the work itself, and on Riggs as a woman and an architect. In general, a preoccupation with women’s appearance is not helpful, but hers seems to have been eccentric enough to warrant the attention. Because Riggs seems to have been a rather private person, the film had more difficulty accessing her inner life. This may have compounded our culture’s tendency to privilege the male gaze, even in a film which should have focused on Rigg’s own gaze. One person interviewed first referred to Riggs as the “muse” of her employer (when she was clearly a creative force herself) and later called her “mysterious.” However, this was just one off note in an otherwise warm and thoughtful professional biography. Few films of this sort exist, and they are needed to build the foundation of the history of women architects. -	How has the generation you belong to shaped your experience as a woman architect/designer? -	In the tension between personal life and career, Riggs explicitly chose career. What decisions have you made as you have tried to resolve this tension? -	Do we ourselves have any unconscious sexism that causes us to assess other women and their work differently than we assess men? -	Why is the history of women architects less well known? To what extent is this due to a lack of attention from history, and to what extent is it due to constraints that their time and circumstances placed on the scope of their work? More information about Riggs, including a book and booklet, is available from the Lutah Maria Riggs Society, at www.lutah.org. We celebrate our members’ personal and professional milestones and achievements. Did you graduate from school? Get licensed? Start your own firm or become partner? Win an award? Get something published or exhibited? Have a baby? Become a U.S. citizen? Retire? Please let us know so we can share the news. Rebecca Friedberg has started teaching at UC Berkeley Extension. Cynthia Bathgate will be traveling to the Philippines to meet her extended family for the first time. We wish them both the best in these new adventures!